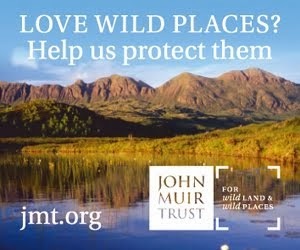 This is a piece I wrote for the John Muir Trust Journal a few years ago about my TGO Challenge walk in 2007 that I think is still relevant. The picture shows vehicle tracks in upper Glen Feshie. This is the story of a walk across the Highlands in search of ugliness. I’ve walked from coast to coast on the annual TGO Challenge eleven times now. This year though I approached the event from a slightly different, and, it must be said, less positive viewpoint. I’m a member of the Beauly-Denny Landscape Group as the representative of the MCoS and I was impressed with David Jarman’s evidence to the inquiry and the picture he painted of the slow attrition wearing away the wild character of the Highlands. In an email to the B-D Group David wrote “amazing how difficult it is to get hold of 'ugly Highlands' images - I don't take them, others I have asked don't” in the context of producing a presentation showing the effect the proposed Beauly-Denny pylons would have. As I was soon to set out to walk from Strathcarron to St Cyrus I thought that maybe I would take some “ugly Highland images”. I too had never taken many of these in the past (I have a few of the Cairngorm funicular) and I knew full well why. When in the hills I want to appreciate the beauty and wildness that remain and I try and block out any ugliness or intrusions. For that reason I’ve always planned a high level route, keeping as far as possible to the relatively unspoilt summits and passes and away from the degraded glens. I did the same this year but once I’d started photographing intrusions and damage I found that I couldn’t ignore it as easily as in the past. In fact I found myself looking for opportunities to include fences and bulldozed roads in photos rather than ways to cut them out. I can’t say I enjoyed this different mindset but it did make me very aware again of just how damaged some of our hill areas are. And I did return with a collection of “ugly Highlands” images. The first intrusion came in the form of a deer fence above Strathcarron complete with high stile and gate through which I could look across the strath to the harsh angular lines of a forestry plantation above which rose the dark outlines of the Achnashellach hills. Soon after a rusty old iron gate between two tall fence posts reminded me that such intrusions are not new. Over the Bealach Alltan Ruairidh a bulldozed road led to Bendronaig Lodge, an old road that was not too horrible compared with some I was to see. The ugliness faded as I crossed the boggy wastes between Loch Calavie and the Allt Coire nan Each, noting the old tree roots sticking out of the peat showing this area was once wooded, and then traversed the An Riabhachan – Sgurr na Lapaich ridge, finishing with a splendid wild camp on the col with Carn nan Gobhar. Up here the sight of the bathtub rings on the reservoirs either side of this ridge didn’t really impinge on my joy. The next day I descended to the fake loch called Mullardoch with its bleak, bare shores and crossed Glen Cannich below the massive concrete ramparts of the dam. A blizzard on Toll Creagach cut out all views of ugliness and beauty then it was down to always attractive Glen Affric, though I was more than acutely aware of all the deer fencing and the straight unnatural lines between the protected and unprotected land. Crossing to Glen Moriston I passed through some really nasty clear-cut forest on the way to Cougie before leaving the glen on the old military road and marching with a double line of pylons that looked like H.G.Well’s Martians and were just as alien to Fort Augustus and the start of the climb to one of the most trashed places in the Highlands, the Corrieyairick Pass, noting how ironic are the signs saying that General Wade’s road here is a protected historic monument. Maybe one day we can keep just one pylon – in a city park - as a historic monument and reminder. Warning signs told of the construction of the dam in Glen Doe just to the east, a huge intrusion into what was a vast wild area. The Corrieyairick is a tangle of pylons, power lines and bulldozed roads and I was happy to escape it for a walk east over the misty, rain-strewn hills to the Monadh Liath. A short section of Strathspey with its main road and railway led to Glen Feshie, one of my favourite places but where I was horrified to discover that the bulldozed road in the upper glen, built without planning permission some years ago, has been renewed in places while in others 4WD vehicles have very recently gouged great ruts in the ground. Escaping the despoiled glens again I climbed lonely Carn Ealar and An Sgarscoch then returned to tracks and roads at White Bridge from where I walked to Braemar. Lochnagar was magnificent on a wild day of high winds, hail, rainbows and flashes of sharp sunlight. I circled round high above the Dubh Loch to Cairn Bannoch and Broad Cairn. Reality intruded on the descent of the latter, the wide eroded track up its south eastern flanks being in sore need of repair. 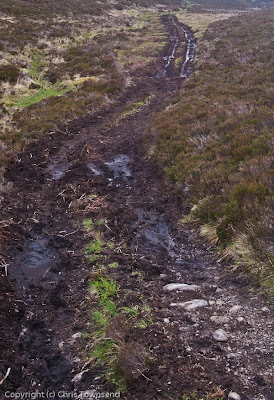 The bulldozed roads at the head of Corrie Chash are depressing too as are the gouged tracks on Sandy Hillock. From the latter I crossed the rolling heather and peat bog moorland to Glen Lee, where a bulldozed track runs deep into the hills almost to the head of the glen. Once on the track I was on the downhill slope to the coast and stuck on roads the rest of the way. One and half final days of striding out saw me on the beach at St Cyrus staring out at the sea. It had been a good walk, despite all the damage. But someone really ought to do something about it. I guess that means us. Finisterre is an interesting young company that has expanded out from the surfing world to general outdoor activities. The company's aim is to "make the best technical apparel with minimal environmental impact." 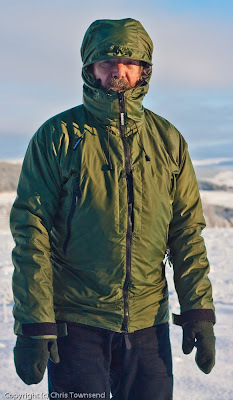 I've been using the Finisterre Storm Track Jacket over the winter and my review is now on the TGO website here. Going through my rather disorganised computer files I came across a feature I wrote for TGO five years ago on how lightweight backpacking isn't that new that I thought some of you might find of interest so, with a little minor editing, I've pasted it below. The picture was taken on the Arizona Trail in 2000. At this time I was making the transition to lighter gear having been seduced by heavier designs over the previous two decades. I remember looking for a lightweight pack but not being able to find one that would carry the weight of a load including a week or more's food plus a gallon of water comfortably so I ended up taking my heavy but supportive Gregory Shasta, the last time I used a traditional pack on a long distance walk. Way back in 1974 Hamish Brown became the first person to climb all the Munros in one continuous walk, an epic 1639 mile trip. Thirty-seven years ago was long before waterproof/breathable fabrics, fleece, silicone nylon, titanium, LEDs and many other products we have today and which make our loads lighter. Surely then, without the benefit of modern gear Hamish must have carried a horrendous load over all those hills? Actually, no. His rucksack averaged about 23lb (10.5kg) including food and only twice went above 30lbs (13.5kg). Yet he had all he needed to deal with 112 days of Scottish mountain weather. Lightweight backpacking is not so new then. Indeed, some of Hamish’s gear sounds amazingly like the ultralight gear of today. His pack, a Tiso Special made for Tiso shops by Karrimor, had no padding or frame, no hipbelt and no pockets. And this was 24 years before GoLite launched the similar Breeze pack, designed by Ray Jardine after he became fed up with complex heavy packs. 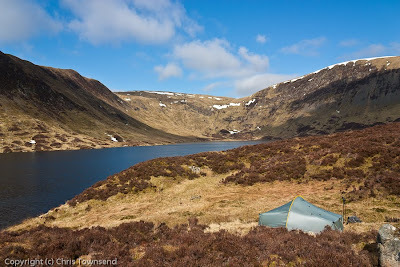 Hamish’s tent, made by Tulloch Mountaincraft, was a single skin nylon tapered ridge that weighed “a bit over 3lb” (1.3kg), which is lighter than many solo tents today. This tent had a tray-shaped groundsheet that attached with elastic tabs and floated inside the tent so that condensation ran down the walls and into the ground rather than onto the floor. Now why has no-one revived that idea? Hamish also wore Sportiva boots that he describes in his excellent book Hamish’s Mountain Walk as light and fairly soft. Footwear wasn’t all stiff and heavy back then either. 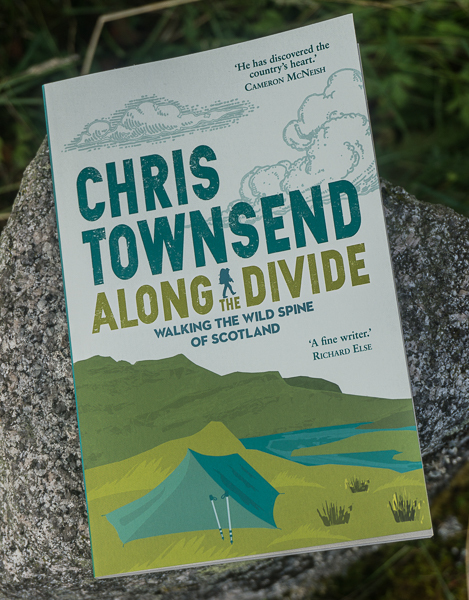 Now at the time Hamish was walking the Munros I was a novice backpacker who’d never been camping for more than a weekend but who was keen to learn the skills to go on longer walks. 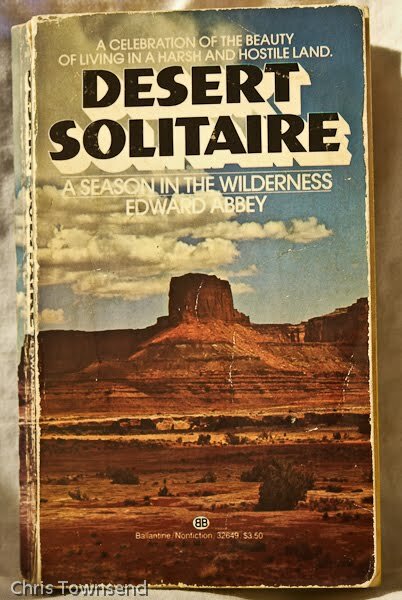 To that end I eagerly pored over books on backpacking such as Derrick Booth’s The Backpacker’s Handbook (1972), Robin Adshead’s Backpacking In Britain (1974) and Peter Lumley’s Teach Yourself Backpacking (1974). Looking through these well-worn books all these years later I’m struck by how light much of the gear described is and how much emphasis the authors put on keeping the weight down. Here’s Derrick Booth: “Weight is the enemy. It has to be mastered at every stage if it is not to master you and spoil your fun. Every doubtful gram has to be thrown out – it will sneak back again if you don’t remain vigilant”. Gear lists are provided too and these are very interesting. Robin Adshead’s “possible comprehensive summer kit – not everything is needed for every trip” weighs 21 lbs 8oz (9.75kg) including boots and clothing worn, which is pretty light. That list includes a Karrimor Marathon tent weighing 3lbs 4oz (1.47kg), an 18oz (510 gram) Brown-Best Super Ariel rucksack, a 1lb 15oz (879 gram) Mountain Equipment Lightline sleeping bag (still around of course though now weighing 1100 grams), an 11oz (312 gram) Robert Saunders Pakjak poncho and a 5oz (142 gram) Optimus cooking pot with lid. All these are weights that would be regarded as lightweight today. The Brown-Best pack is particularly interesting as it had a blow-up air bag in the back rather than a frame. By 1984 my backpacking experience was somewhat more extensive - as I’d completed a Land’s End to John O’Groats walk, a Pacific Crest Trail thru’-hike, a round of the Munros that included two 500 mile backpacks, and three TGO Challenges - and I began writing myself, producing a little booklet called The Backpacker’s Guide. This contained lists of gear that again show that lightweight is not new. Skimming through them I find a North Face Blue Kazoo sleeping bag weighing 890 grams/31 oz (still around but now 1340 grams/47 oz), a Fjallraven Hermit tent weighing 1150 grams/40 oz, a Robert Saunders Jetpacker tent weighing 1360 grams/48 oz (still around, now 1400 grams/49 oz), a Vango Zephyr Solo tent weighing 1300 grams/46 oz, a 63 litre Karrimor Lynx 2 pack weighing 1100 grams/39 oz, a Camping Gaz Globetrotter stove and pan weighing 450 grams/16 oz and a Primus Pro Adventurer stove weighing 130 grams/4.6 oz. In clothing and footwear there was lightweight gear around too. Rohan launched their polycotton Bags trousers in the early 1980s and were told by retailers that such lightweight trousers wouldn’t last and wouldn’t sell! The weight was 285 grams/10 oz a pair. I wore Bags on the Pacific Crest Trail and the even longer Continental Divide Trail. They lasted well. Over a quarter of a century later Rohan still sell Bags, though the weight has crept up to 335 grams/12 oz. In footwear Karrimor introduced KS-Bs, the first lightweight fabric/suede boots, and Brasher the first suede Brasher Boots, designed by the late Chris Brasher to be as light as possible and weighing 900 grams/32 oz. Back then boots this light were revolutionary and many retailers said they weren’t suitable on rough terrain or for carrying heavy packs (some still say this). 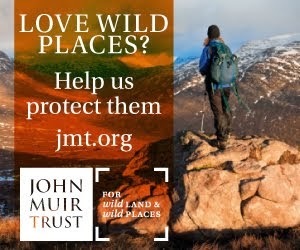 I wore them over most of the Munros (and the slightly heavier Brasher Hillmasters over all the Munros and Tops in a continuous walk in 1996) and for 800 miles with a very heavy pack along the Canadian Rockies. They seemed suitable to me. Today Brasher’s lightest boot is the low-cut Supalite Hybrid XCR weighing 1036 grams/36.5 oz. Some walkers were wearing shoes back then too. I was one, hiking 850 miles of the Pacific Crest Trail in a pair of New Balance M575 running shoes weighing 720 grams/25 oz and another 1000 miles in a pair of Asolo Approach shoes weighing 800 grams/28 oz. So with all this lightweight gear around in the 1970s and 1980s why was it necessary to have a lightweight “revolution” over the last decade? What happened to that gear? Why did loads become heavier? I think there are a number of reasons – designers gradually adding weight, the reluctance of many retailers to take lightweight gear seriously (some still advise against it), a desire by makers to produce durable gear that will last so customers don’t complain, a belief that heavier gear is tougher and safer. Of course not everything disappeared – Saunders tents are still around, if less well known than previously, and Brasher still makes lightweight footwear, though also heavier mountain boots. Lightweight sleeping bags have always been available. Rucksacks became heavier through the 80s and 90s though, as did tents and waterproof jackets. And there was a general shift in outlook away from the idea of lightweight to the idea of toughness, a philosophical shift that meant that weight wasn’t considered a major factor for backpackers. Gear was designed to be suitable for the rigours of a Himalayan expedition rather than the Pennine Way. You might not be going to climb Everest but you should look as though you were training for it. Design plays a major part in all this. Back in the 1970s outdoor companies didn’t employ designers. They were manufacturers and once they’d set up their machines to produce an item they wanted to produce as many as possible without any changes. A successful product was one that sold year after year. Designs were functional first and last. However during the 1980s manufacturing began to be moved overseas, UK factories closed and manufacturers became design and marketing companies. The new designers and marketeers needed to have something to design and market. Products that sold steadily year after year unchanged were no longer very attractive. So designers started changing things, a reinforcement here, an extra strap there, a bigger zip, heavier fabric, more pockets. And so weights crept up. 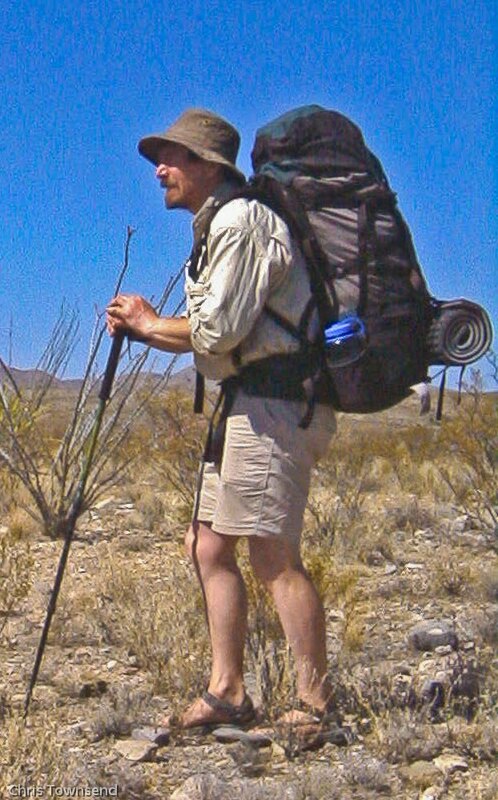 An example is the 100 litre Berghaus Cyclops Scorpion pack I used on the Pacific Crest Trail in 1982. It weighed 2.15kg.4.7lbs, not light but not heavy for a pack that size. 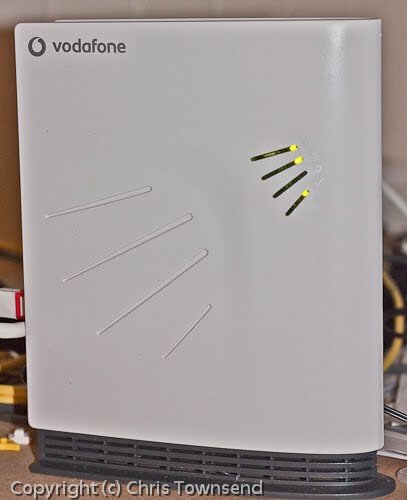 By the end of the 1990s the equivalent pack weighed 2.9kg/6.4lbs (as it still does under the name Vulcan) though it was no tougher or more practical than the original. Only in recent years have designers started thinking about reducing the weight of products rather than making them more complex while ignoring weight. Modern materials mean that many lightweight items can be much harder wearing than in the past so the objection of poor durability should subside. Dyneema for packs, silicone nylon for tents and breathable windproof nylon for clothing are all tougher and longer lasting than the heavier equivalents of twenty years ago. Perhaps some of those old lightweight designs could be brought back made from new materials and weighing even less. A tent like Hamish Brown’s could be made from silicone nylon and pitched with trekking poles, which would make it very light. In fact a tarp with a tray-shaped groundsheet attaching with loops and clips or Velcro tabs would be excellent. Karrimor could revive the Marathon tent. This design had two upright poles at the front and tapered down to the ground at the back. Trekking poles would be ideal for pitching it. Self-inflating mat technology could be used to make a rucksack with an air filled back like Brown-Best’s Super Ariel. And maybe Brasher could reintroduce a boot weighing 900 grams/32 oz. Lightweight gear is still a small specialist part of the market of course. Most gear is what can be termed standard weight. Some is heavyweight. This was true in the past too. Most tents were much heavier than the Karrimor Marathon or the Vango Zephyr Solo, most packs much heavier than the Brown-Best Super Ariel. However more people are involved in the outdoors than in the past which makes the lightweight niche bigger too. Maybe, hopefully, this time lightweight is here to stay.